We investigate the ways in which humans interface with plants, technology, and environment. Our work responds to current environmental, economic, and cultural shifts in relation to land access, population growth within cities, and landscapes. Rather than simply questioning the infrastructure in place, our curiosity is motivated by an optimistic desire to re-think future relationships between plants and people. Laura Bigger received her MFA with an emphasis in printmaking from the University of Minnesota in 2013. Her work investigates humanity's relationship to food, animals, and ecosystems. Prior to graduate school, Bigger spent several months in New Zealand where she lived and worked on a family farm that operated under a permaculture model -- sustainable agriculture based on natural eco-systems. This experience led her to further investigate the intersection of biology and art, especially sustainable systems. 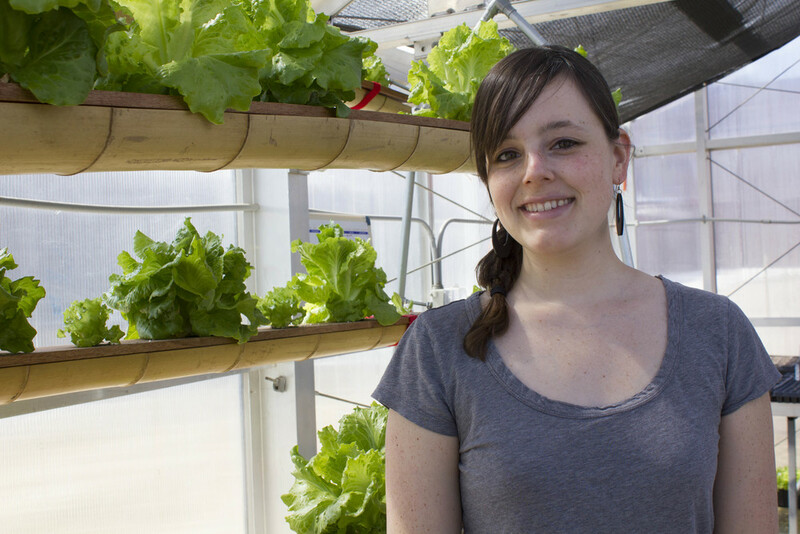 Bigger's MFA thesis addressed self sustaining food practices in the upper Midwest. She is now Assistant Professor of Art at Truman State University. Artemis Ettsen is a practicing artist and architect. With expertise in 3D modeling, 3D printing, and working with a range of sites and clientele, Ettsen holds a strong skill set combing art, design, and architecture. Ettsen's work investigates how cities can further integrate produce and greenery within their vertical environment. With the Cedar Riverside Towers as her thesis project site, Ettsen designed different types of vertical gardening systems that could be implemented on the property. The project aims to reconnect the building complex to the surrounding neighborhood as well as provide alternative modes of sustainable food production. Before relocating to Minneapolis to pursue her MFA, Teréz Iacovino worked at the Women’s Studio Workshop, an internationally renowned art studio in Rosendale, New York. As their Art Farm Coordinator, in partnership with the Student Conservation Association, she grew, researched and documented sustainable plant fibers for handmade paper. Her simultaneous experiences as a gardener, educator, researcher, and artist led to an interest in using art as a pedagogical tool and aggregate for social change. Her work focuses on imperfections of technological advancements, mass production, and ownership in relation to science, agriculture, and site.